Astoria, NY is filled with places to eat, socialize, and learn. 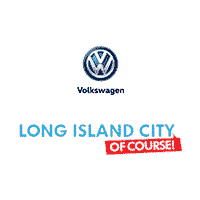 If you’ve taken advantage of our VW offers and now you’re searching the best things to do in Astoria, Queens, we’ve got a great list of options for you here. The Bonnie: A gastropub like no other, The Bonnie delivers more than just signature drinks, (they have those too) you’ll also find tasty street food to make your taste buds sing. The Highwater: Tropical-inspired food, friendly waitstaff, fast service, a fun, funky vibe, and delivery for those who just want to enjoy a bite without the crowds – what’s not to love? Queen’s Room: Affordable well drinks, trivia, and signature burgers and fries make the Queen’s Room the perfect weekday getaway or weekend stop with your favorite people. SingleCut Beersmiths: A 5,000 square-foot microbrewery and taproom that caters to more refined tastes when it comes to beer. Drop by to fill your growler, and you might even catch live music on the stage adjoining the tasting room. Museum of the Moving Image: See every step of the filmmaking process, explore the history of cinema, and even play vintage arcade games in this one-of-a-kind facility perfect for movie lovers of all ages. The Noguchi Museum: Designed as a showcase for the internationally-renowned artist’s work, the museum features two floors of exhibition space and an outdoor sculpture garden. When you’re done enjoying all Astoria has to offer, why not cruise on over to our other city pages for more information about what the larger Woodside area has to offer? Find new restaurants to try in Woodside or Bayside, Queens, tasty bites in Flushing, and plenty more.